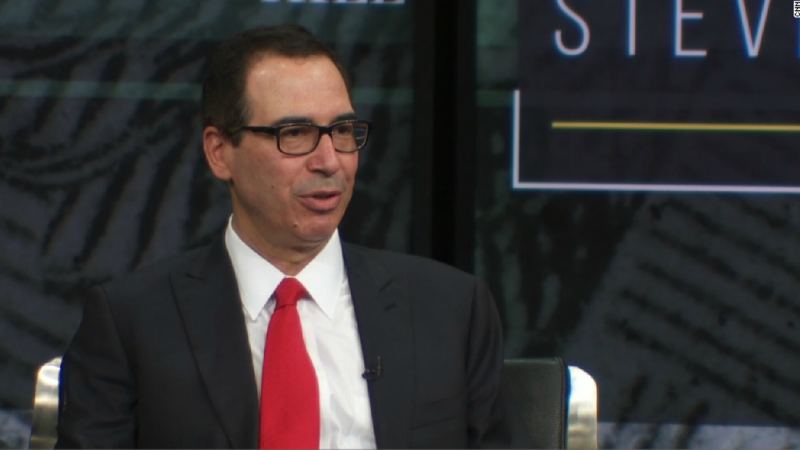 Treasury Secretary Steven Mnuchin met with the Senate Finance Committee this week to discuss President Trump's budget and, in particular, the administration's stand on tax reform. But Mnuchin wasn't providing many new details, more often reiterating the same general concepts and vague assurances that he's stated repeatedly. The administration continues to promise tax reform this year. Yet the year is nearly half over and all the White House has produced is a one-page, double-spaced outline that's shorter than the "typical drug store receipt," said Senator Ron Wyden, the top Democrat on the tax-writing committee. Mnuchin, who has been meeting privately with lawmakers to discuss tax reform, has been saying for weeks that he'd be happy to discuss details when the administration's plan is complete. But he gave no sense of when that would be. At one point he even seemed to suggest that there might not be an administration plan per se, but one borne of compromise with those on the Hill. "Our intent is we will come up with a proposal that can pass the House and the Senate and be signed by the president." Fair enough. There's no point proposing something that goes nowhere, especially if you're under a tight deadline. If that's the case, though, what would be deal breakers for the president? Mnuchin has said repeatedly that the president's priority is middle-income tax relief. Wyden noted, however, that the administration's one-page plan provides no detail to suggest how much relief there would be for the majority of Americans. "Just vague, open-ended promises," he said. When asked by New Jersey Democrat Robert Menendez if the president would sign a bill that gives more tax cuts to the top 1% than to the middle class, Mnuchin said he would not "go through a bunch of hypothetical scenarios of what the president will do and what the president won't do." Yet Mnuchin seemed pretty clear that Trump would not sign a bill that raises the estate tax. In fact, Trump has proposed eliminating it. Mnuchin also made it clear that Trump won't approve a bill that doesn't lower the top corporate tax rate, because lowering that rate has been a centerpiece of Trump's proposals all along. He also didn't come prepared to talk in detail about how the administration would guard against wealthy people abusing a marquee Trump proposal to lower the business tax rate to 15%. Creating and enforcing anti-abuse rules is always difficult. But Wyden noted that it would be made that much harder given that Trump's budget further cuts funding for IRS enforcement. Related: Trump's proposals will balance the budget. Except they won't. All Mnuchin would say is that "I assure you" the administration will prevent wealthy people from creating tax shelters to take advantage of the business tax rate, which is considerably lower than the 35% top rate Trump has proposed for wage income. "Mr. Secretary, respectfully, I just don't think that cuts it. ... This proposal has been out there and we have not gotten any specifics about how this is actually going to be done. ... I think the sooner you get that to us, the better." In fact, Wyden took pains to remind Mnuchin of the time, noting that at the rate things were going a full proposal might not come together before "2075 or something like that ... You're going to have to speed this up in terms of getting us specifics."